China continues to surprise with the scale and speed of its renewable energy power generation capacity additions. The country added a whopping 7.1 GW of solar power capacity in the first quarter of 2016, which is a growth of over 48% year on year. This is astounding given that the world’s 3rd biggest solar market Japan will install 7 GW for the whole one year. China has been making new record in both solar and wind energy generation, as the country looks to lower its reliance on polluting thermal power generation. One of the key reasons behind the surge is the lower prices of solar power generation, as well as the impending cut in feed in tariff in June 2016. This is pushing developers to install most solar power capacity in the first half of 2016. 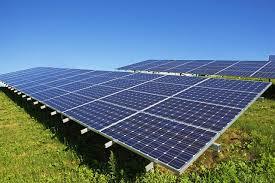 Read about China’s Solar Industry here. However, China has not increased its full year target which will be around 15 GW. This may mean that there would be a pressure on solar panel prices going into the second half. USA has also extended its ITC policy to 2020, which means there will be no huge rush to get solar projects finished in 2016. Japan is going to see lower installs in 2016 with lower feed in tariffs. Both China and Japan are also suffering from grid constraints, as their large utility scale solar projects have put strains on the electricity grids which are not built to handle large amounts of intermitted solar power electricity. China does not even have enough transmission capacity from the western parts of China to the major consumption centers on the eastern seaboard. The solar panel prices remain subdued as new capacities are being added around the world with stability seen in the last couple of years. However a major drop in prices may not be feasible, given that solar panel makers are already operating at thin margins. A price war may lead to the winnowing of the weak players who are supplying equipment to the larger companies on an OEM basis. Good news for China but we Indians should have more attitude and fund power towards powering by solar power projects. Hope our Union Government takes more initiatives to deploy this business in a very big manner! !